Malta has proposed five infrastructural projects to benefit from EU funding in terms of an EU-wide infrastructural plan proposed by EU Commission President Jean-Claude Junker. They are a monorail system, a breakwater in Marsamxett, a grass airstrip in Gozo, a mechanism for the procurement storage and distribution of medicines and social housing. The projects are to be carried out over a number of years, with the monorail being the most expensive at €1.42 billion over some eight years. The system will be 76 km long, with two main lines criss-crossing the island. According to the first details of the project, which is not expected to start before 2017, the monorail will involve mixed over-ground and underground lines running North-South and East-West intersecting at key traffic junctions and feeding at its various stops into other above ground public transport means. 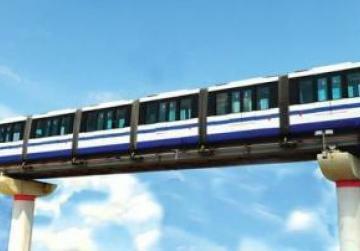 According to the initial estimates of the project, provided by Transport Malta, the monorail project will take some eight years to build and will be divided into four two-year phases. One of the problems identified for this project is that the island does not have the finances to put in place this project and will need large investments from the private sector and through the European Investment Bank to put the project into motion. EU countries proposed some 2,000 projects which will now be assessed by the European Commission for their viability in terms of economic benefits and private sector involvement. The government is proposing that all its proposals should be public-private partnerships.